Super Smash Bros Ultimate looks to be the most content-packed entry into the series yet. There are 74 characters to play as, hundreds of stages, and over 800 audio tracks to work with. With all of these new features, we figured it'd be good to build character pages for every fighter in the game. In this Super Smash Bros Ultimate Dark Samus Guide, we'll be taking a look at Dark Samus. She's a brand new fighter in the game, acting as an Echo fighter for Samus. Despite being an Echo fighter, there are plenty of differences to the regular version, from new animations to taunts. For more on Super Smash Bros Ultimate, you can head over to our Smash Bros Ultimate Characters Guide. It's got an ever-growing list of guides on every character in the game. We add them in regularly, so it's definitely worth checking back to see if we've covered your favorite fighter yet. Dark Samus is the villainous counterpart to standard Samus in the Metroid series. 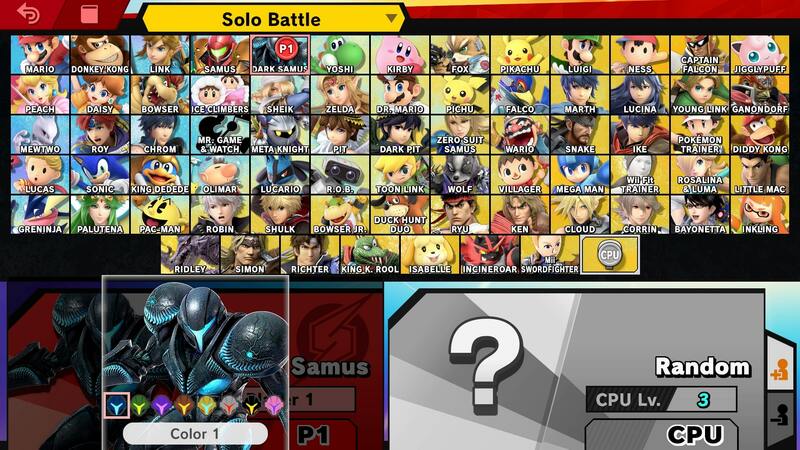 In the table below, you can see a complete moves list for Dark Samus in Super Smash Bros. Ultimate. 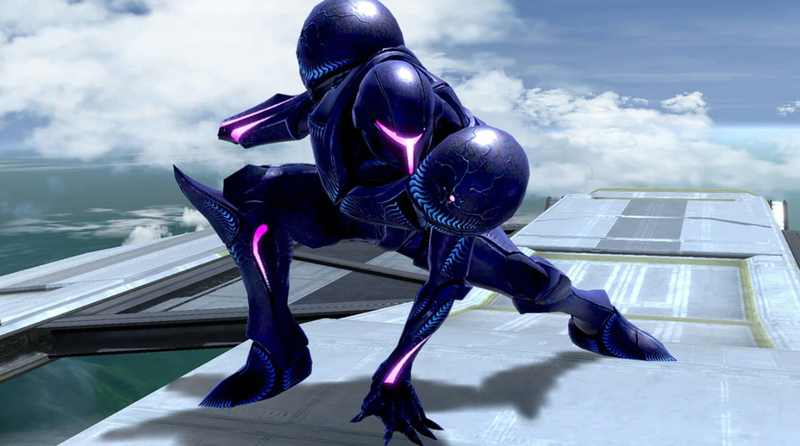 Dark Samus can be a tricky character to master, though is extremely effective when used right. We've listed some essential Dark Samus tips to keep in mind while playing. Use Dark Samus' bombs constantly, they're great for slowing your decent. If an enemy is attempting to climb back onto the stage, drop a bomb at the edge and then fire a fully charged B Special. This will instantly break the shield and stun them. Up Special can be used to juggle opponents. Down Smash is a particularly easy Meteor Smash to use. You can use tether to get back to the edge. Grab then hold up to start a move that is easy to turn into a juggle. Projectiles appear with darker visual effects. Final Smash is blue and black. Dark Samus' roll backwards move is different, in that she does not transform into Morph Ball. Charge Shot visuals have been altered. Dark Samus has their own alternate Costumes, separate from Samus. They are all simple color swaps, with her default outfit rendered in green, purple, red, yellow, grey, black and pink. You can check out the purple variant in the image embedded above. All of the new fighters will be getting Super Smash Bros Ultimate amiibos at some point. This includes Dark Samus, and while we haven't seen what it looks like yet, Nintendo has confirmed that it is on its way. Dark Samus has her own Final Smash in Super Smash Bros Ultimate. It's called Phazon Laser, and is functionally identical to Samus' Final Smash. The visual effects are different though, with a dark blue and black design. That's everything we know about Dark Samus in Super Smash Bros Ultimate. We'll be adding more info as we get it, but in the meantime you can head over to our Super Smash Bros Ultimate Guides Hub for more info on the game.